Bangalore University has Post Graduate Centre in Kolar commencing from the Academic year 1995-96. The Government College of Education Chickballapur was established in the year 1972 by the then Town Municipal Council of Chickballapur under the banner of Municipal college of Education. 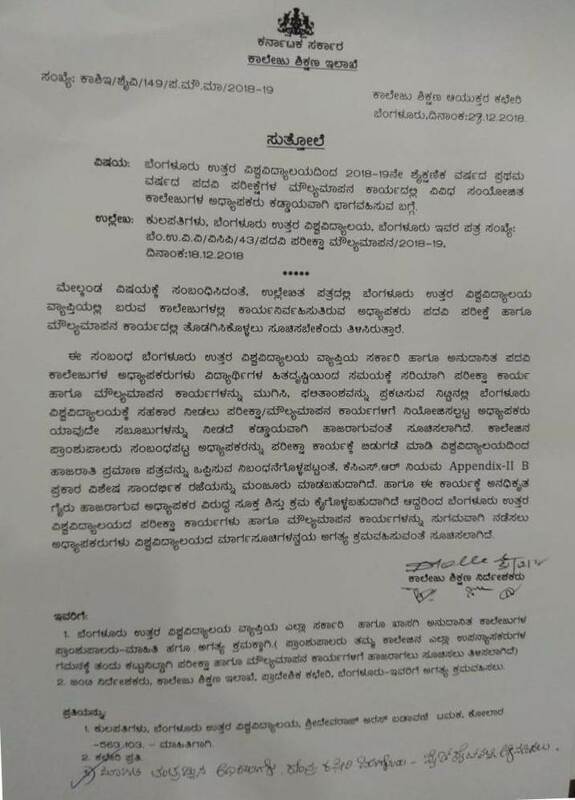 The Government of Karnataka has notified the establishment of Bengaluru North University by trifurcating the erstwhile Bangalore University through its University Gazette Notification dated: 13-08-2015. Guest faculty recruitment Extension of Last date to Submit Applications for P.G. Courses. Fee Structure For Government Colleges And Private Colleges. PG-Seat-Matrix-23.07.2018. Bank-Challan- For PG Admission 2018-19. Results of 1st Semester PG – M.Sc Chemistry & Mcom Exams. Revaluation Notification for 1st Semester PG – MSc Chemistry & Mcom Courses. Revaluation Notification of PG :- MA-ENGLISH, MA-ECONOMICS, MSc – PHYSICS Exams 2019. Results of 1st Semester MA-ECONOMICS, MA-ENGLISH, MSc – PHYSICS Exams 2019. Question Papers distribution Centres for 1st Semester B.Ed Exams 2019. Revised Examination Centres of 1st Semester B.Ed Exams 2019. 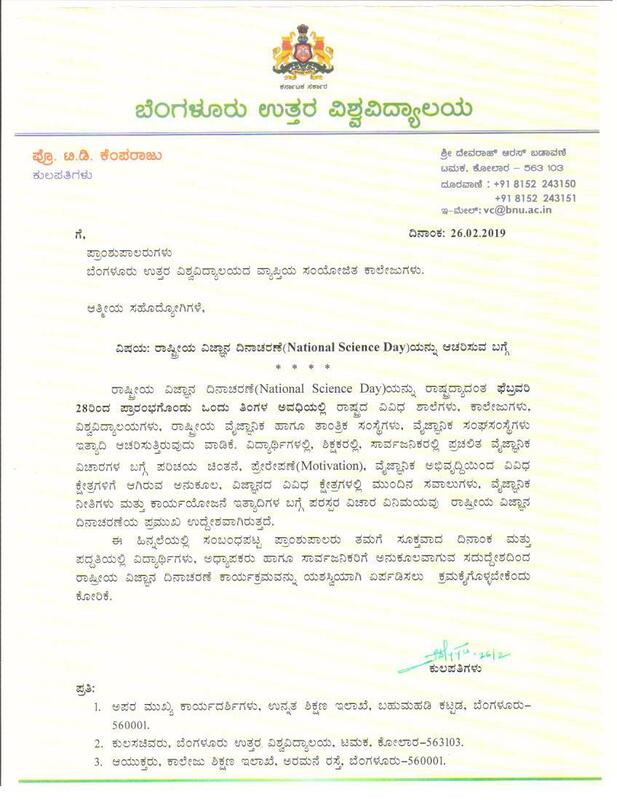 Submission of 1st Semester Internal Assessment of B.Ed Exams 2019. Revaluation Notification of 1st Semester PG – MBA , MCA, MFA, MSc – Botany Exams 2019. Results of 1st Semester PG – MBA, MCA, MFA, Msc – Botany Exams 2019. 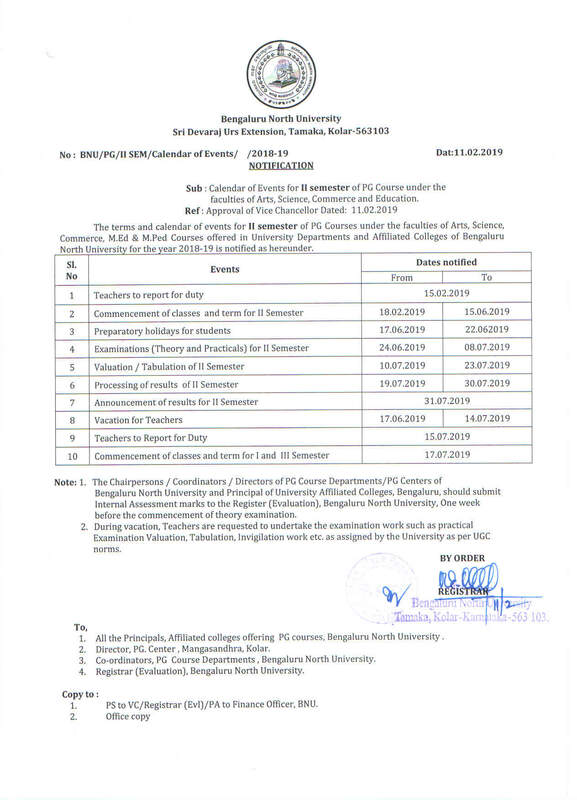 Revised Time Table of B.Ed 1st Semester Exams 2019. To be a national and globally recognized Institution through quality teaching, excellence in Research, Innovation, Entrepreneurship and dissemination of knowledge for promotion and development of human society. To produce employable graduates of various levels with worthy moral and ethical characters, competent knowledge and skill base. To expand the boundaries of knowledge and Innovation, through quality teaching and research for humanity and social transformation. To develop critical thinking and intellectual independence among students for enhancement of human understanding and the society. To encourage and support for creation and advancement of knowledge through research and development programmes. To establish opportunities for Lifelong Learning for academic and other supporting staff. BIZ-WIZ 2K19 Program Invitation and Poster. 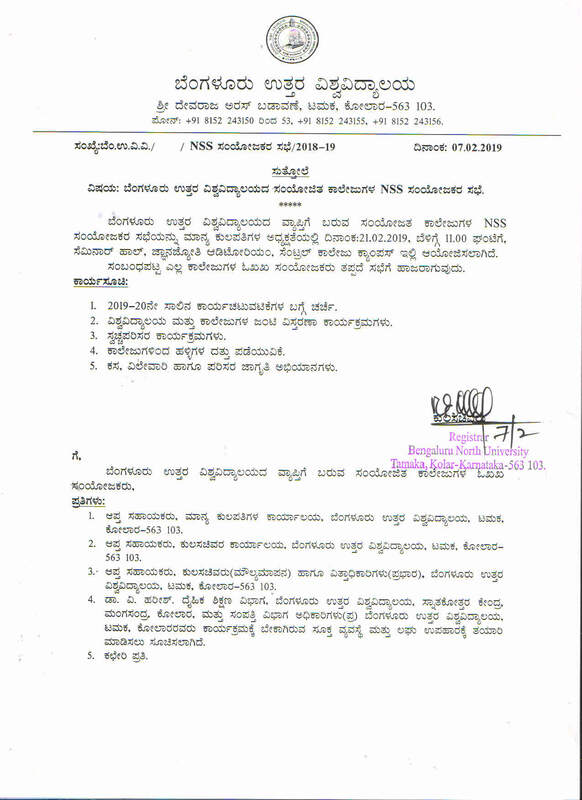 Revaluation Notification of I Semester PG MA - Kannada & M.Sc Zoology Exams. Fee Notification for 2nd Semester UG Course Exams 2019. 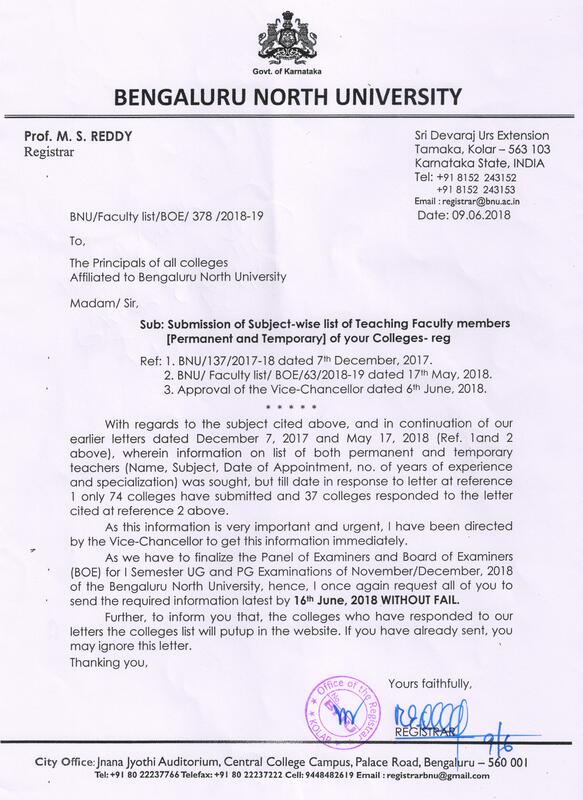 Notification for Submission of Internal Assessment marks of B.Ed Course (I Year I Sem) 2019. Provisional Time Table for I Semester B.Ed Exams 2019. Revaluation Notification for 1st Semester MA - Political Science , MA - History , M.Ed exams of 2019. Calendar of Events for Undergraduate courses IInd Semester of B.A/B.Sc/BCA/B.Com/BBA/BHM/BVA/B.Sc. (FAD) courses of the academic yeaar 2018-19. Results of PG - Bio Chemistry, MASLP, Audiology, Speech Language Pathology, UG - B.P.Ed Exams. 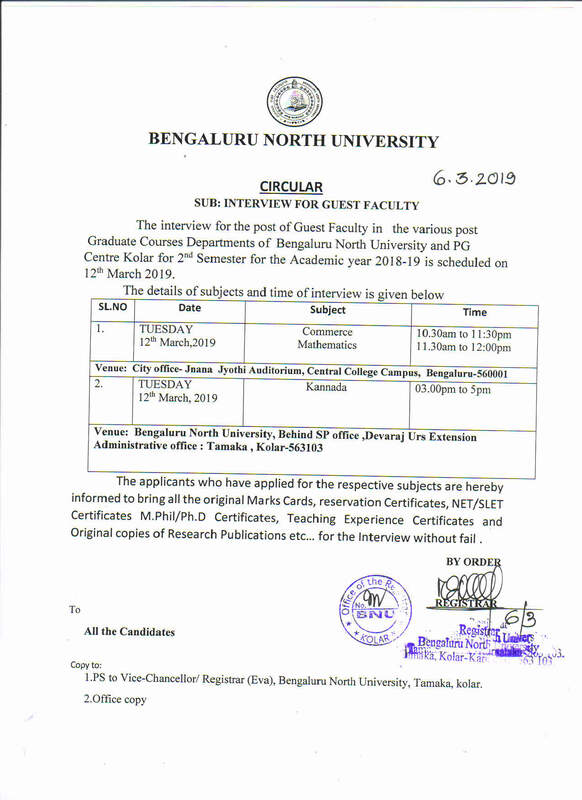 Circular of Interview for Guest Faculty. 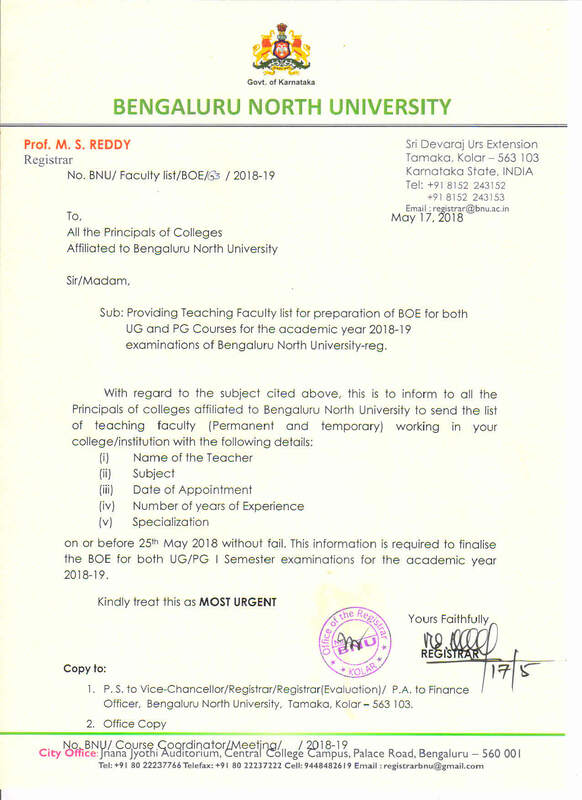 Fee Notification of I Semester B.Ed Examinations for the year 2019. 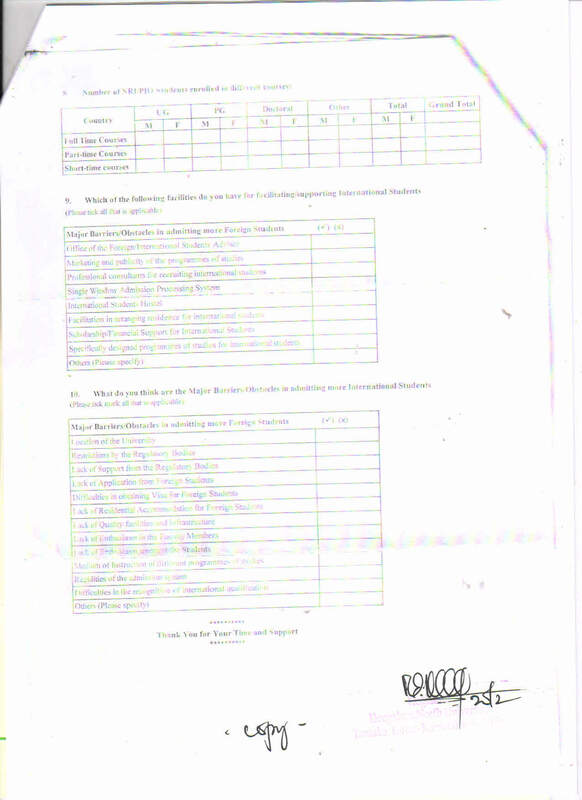 Results of PG Examinations (M.LIB.Sc , MSC FAD , PSYCHOLOGY, COUNSELLING PSYCHOLOGY , MATHEMATICS). Notification of Revaluation for UG Exams 2018-19. Letter regarding furnishing correct data on International Students in the Colleges affiliated to BNU-reg. Results of UG Exams 2018-19. 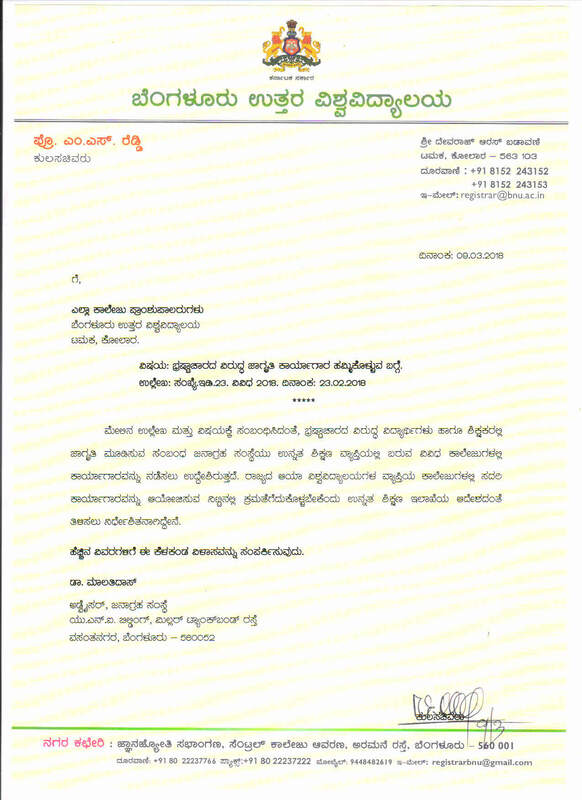 BNU 1st Semester Results announcement Press Release both in Kannada and English version. Format for Furnishing the list of teachers teaching B.Ed Course. Calendar of Events for II Semester of P.G Courses Under the faculties of Arts, Science, Commerce, & Education. Declaration of MBA/MTTM/MCA Examination Centers. Time Table for I Year I Sem MBA/MCA/MTTM PG Course Exams 2018-19. Extension of Last date of Examination fees for MBA Course. Fee Notification of MBA Course for PG Exams 2018-19. 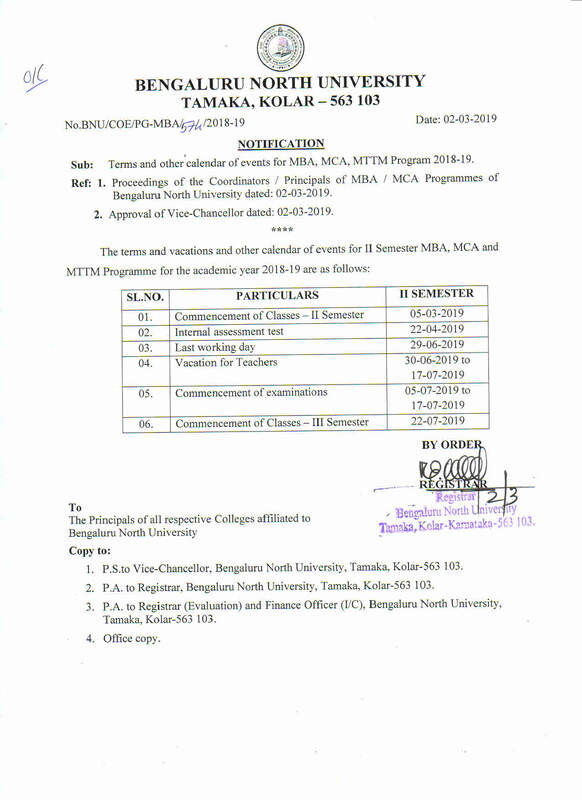 Calendar of Events for MBA, MCA & MTTM for the year 2018-19. Revised and Final Time Table for PG Exams 2018-19. Revised copy of Examination Centers for PG Exams 2018-19. Revised date for On-line submission of documents and schedule for approval of admission for 1st year 1st Sem B.Ed course 2018-19. Re-opening of Classes for (UG - I year II sem) courses. Calendar of Events for 1 Year 1 Semester of P.G Courses Under the faculties of Arts, Science, Commerce, & Education courses. Extension of last date for admission to UG Programmes for the PU Supplementary Students. Bank-Challan- For PG Admission 2018-19. Extension of Last date to Submit Applications for P.G. Courses. Decision of Principals meeting held on 30th April 2018. To all the principals regarding PG admissions. Submitting of details for preparing Seniority list of Principals -reg. Meeting on Swachh Bharat Summer Internship - 2018. Providing teaching faculty list for preparation of BOE for both UG and PG courses for the academic year 2018-19. Calendar of Events - Bengaluru North University. 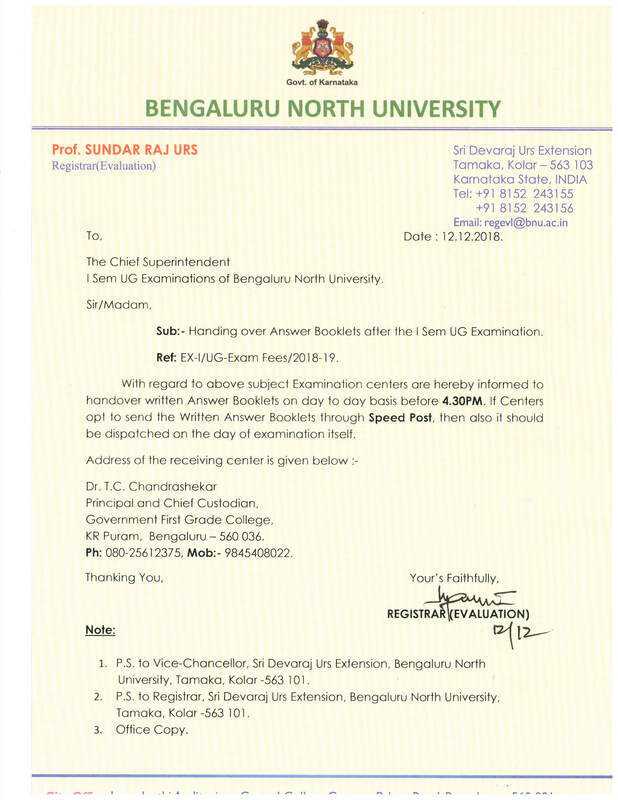 UGC Recognition to Bengaluru North University. To all Principal's regarding conducting a workshop on Corruption.